Introduced 1955 it was the standard in scooter racing , rally and travelling at its time. A common problem was that the engine seized up. 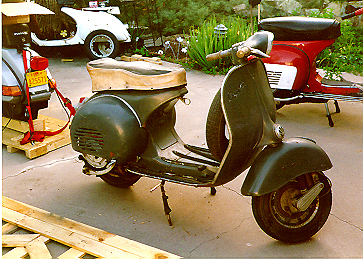 The headlight was now attached (and later integrated) in the handlebars. The single seats were replaced by a larger, comfortable seat. The styling became more streamlined in later versions.